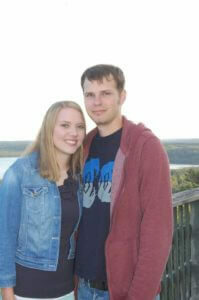 Please welcome Carly Speicher from Carly and Adam to Minds in Bloom today! Carly is sharing some teacher podcasts that are great resources for educators at all experience levels. Do you listen to podcasts? My husband has recently gotten me on the podcast bandwagon. He mostly listens to business podcasts, but did you know that there are podcasts just for teachers?! 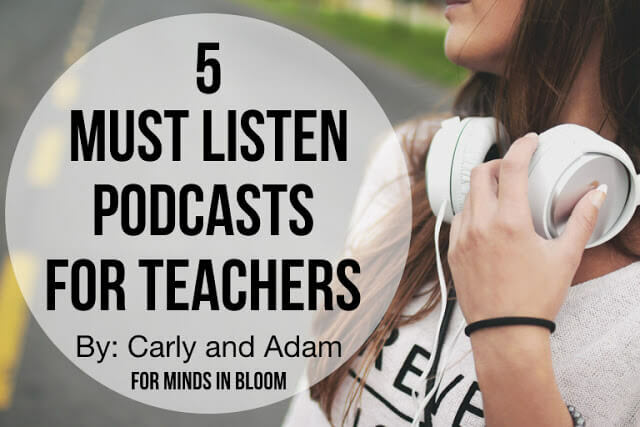 I have recently discovered some amazing teacher podcasts, and I am here on Minds in Bloom to share these resources with you. I mean, who wouldn’t want to know about free professional development that you can listen to anytime or anywhere? 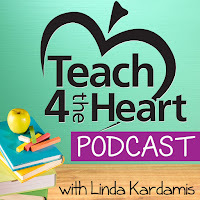 So, whether you are road tripping this summer or just hanging out on the beach, be sure to check out some of these teacher podcasts. Angela Watson is one of my newfound teaching inspirations. She is incredibly knowledgeable and delivers her messages in a way that pushes you to be a better educator. This podcast contains a wealth of teaching tips, from classroom management to how to efficiently use your time. It is very encouraging and motivational for educators. Season 3, Episode 8: Should Teachers Reward Students for Doing What They’re “Supposed” to Do? Linda Kardamis strives to provide teachers with ideas and inspiration to overcome their teaching challenges. The message is mainly directed towards Christian educators; however, the teaching tips are relevant for all educators. 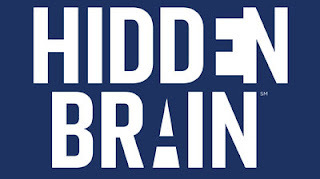 While the Hidden Brain is not necessarily an education podcast, there are multiple episodes relating to educational topics. This podcast approaches various questions from a psychological and scientific point of view. The Hidden Brain is not only informative but also entertaining. You can listen to all of the episodes on the website here. 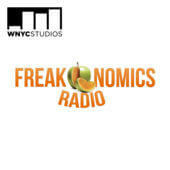 Freakonomics Radio explores “the hidden side of everything.” Although not directed towards teachers, Stephen J. Dubner finds ways to tie in educational concepts that are both entertaining and insightful. Episode 188: Is America’s Education Problem Really Just a Teacher Problem? Episode 228: Does “Early Education” Come Way Too Late? Episode 235: Who Needs Handwriting? I’m sure you’ve heard of and even watched your share of TED talks. 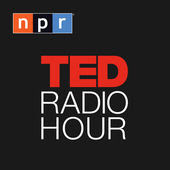 In this podcast Guy Raz interviews TED speakers and digs deeper into the ideas presented on the TED stage. You can listen to all of the episodes here. Carly Speicher is a wife, mom, and teacher. She enjoys creating time-saving resources for teachers and sharing teaching ideas on her blog. Check out The Carly and Adam Blog and follow her on Teachers Pay Teachers, Facebook, and Pinterest for more great teaching ideas and insights. 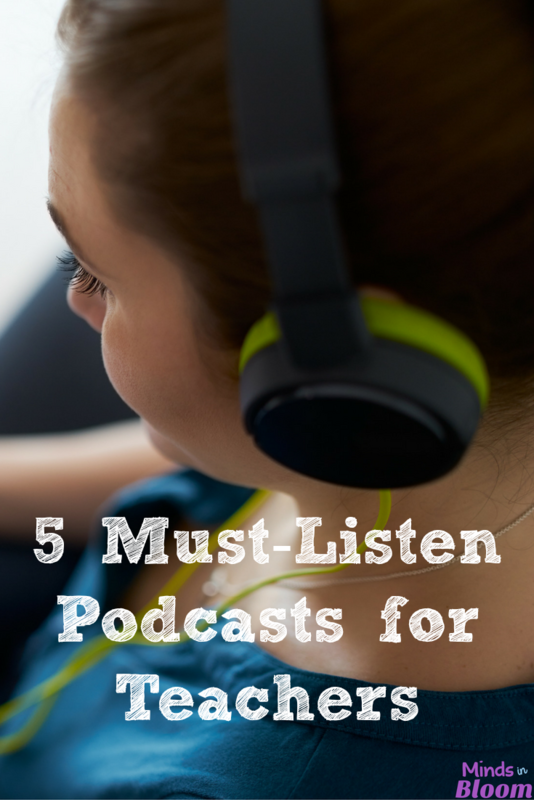 I would like to listen to more podcasts… I have been enjoying Angela watson’s since signing up for the 40TWW. I find it kinda cumbersome though, because I have been listening though the website. Is here an app I can download multiple poscasts too and listen that way? Hi Crystal! I love Angela Watson’s podcast. I have a podcast app on my iPhone. Through the app I can subscribe to and listen to podcasts. It is much more convenient for when you are on the go. Thanks for putting this list together, it’s always good to get recommendations. Podcasts are great for car trips aren’t they!